We are committed to offering you the fishing adventure of a lifetime! At Jenny Lee, our main focus is you, the customer. We work with you the create a trip that meets your specific needs and provides the most enjoyable and memorable experience possible. The Jenny Lee is one of the most well-known charter boats in the NJ fishing fleet and is known for its comfort, cleanliness, attention to detail, safety….and for catching fish. At Jenny Lee our boats are true fishing machines run by a dedicated, professional team that works tirelessly to ensure your satisfaction. Whether offshore for marlin and tuna or inshore for Stripers and bottom fish, we cover miles of ocean to put you where the fish are. Our professional captains have a passion for the sport and lifetime of experience. As we begin our 20th season, our record speaks for itself. The Jenny Lee crew will put you on the fish! We have the experience and drive that has proven itself trip after trip. Ryan grew up in New Jersey and has been fishing as long as he has been walking. Ryan discovered his passion while fishing in the Barnegat Bay, and that passion has been growing ever since. While Ryan has fished in Costa Rica, the USVI, Hawaii, The Bahamas, and the Cayman Islands, his heart always brings him back to the East Coast. After graduating from Stevens Institute as a Naval Architect/Marine Engineer, Ryan had a brief career designing ships. But his love of the sport brought him back to fishing full-time. Prior to joining Jenny Lee, Ryan worked as a charter boat Captain/Mate and has fished commercially for giant bluefin, yellowfin and tilefish. In 2018, Ryan was awarded heaviest bluefin tuna in the Brett T. Baily Mako Rodeo and first blue marlin release in the MRMTC Offshore Open. Captain Dave Bender, Jenny Lee’s founder, has been fishing offshore for more than 25 years. 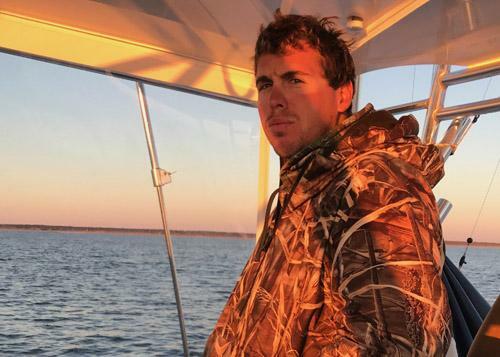 He has poured his heart and soul into the sport and the Jenny Lee, becoming one of the most well-known captains with one of the most recognizable boats in the New Jersey fishing community. Dave has written many articles to share his passion, including in several published in Marlin and Sportfishing magazines. Having sold Dave’s Heavy Towing after 40 successful years of business, Dave now splits his time between fishing, family, coaching softball at Lehigh University (a top-ranked Division 1 program) and coaching wrestling at Wall High School. Dave takes great pride in everything he does, which his family, customers and students can all attest to! Now spending more time in the cockpit, Dave is hands on with both the customers and the tuna, ensuring the best experience possible. Captain Kevin has been fishing the Northeast Canyons since 1985 and has fished on the Jenny Lee for the past 11 years. On the Jenny Lee, Kevin is constantly in the action, focused on our clients, the gear and the fish. As with the entire crew, Kevin’s primary focus is to ensure an enjoyable and memorable experience for all. 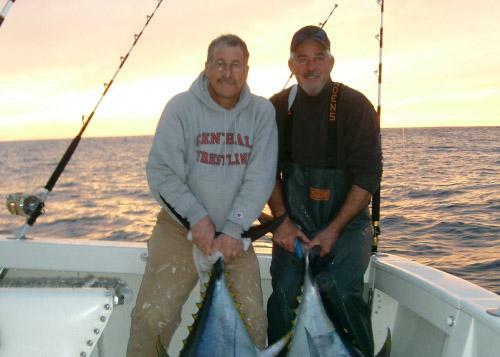 Today Kevin fishes out of NJ in the Summer months and in South Fort Myers, FL during the Winter. 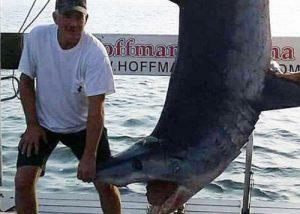 While he is an excellent all-around fisherman, Kevin particularly loves shark fishing. “The highlight of my career is being part of the crew that landed the largest mako caught on rod and reel in New Jersey history”, a 926-pound fish caught on the Jenny Lee in 2017.